CBT addresses beliefs and reasoning. It is a systematic, step-by-step group counseling treatment approach for treatment-resistant clients. 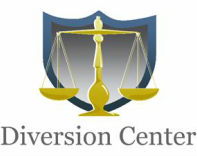 The program is designed to alter how clients think and make judgments about what is right and wrong. CBT is thought to be effective for the treatment of a variety of conditions, including mood, anxiety, personality, eating, substance abuse, tic, and psychotic disorders. Tags: Cognitive Behavioral Therapy, Acworth, Athens, Alpharetta, Atlanta, Bainbridge, Braselton, Buford, Commerce, Conyers, Covington, Dalton, Decatur, Duluth, Dunwoody, Garden City, Hampton, Kennesaw, Lawrenceville, Locust Grove, Loganville, Mableton, Marietta, Norcross, Peachtree City, Powder Springs, Riceboro, Roswell, Sandy Springs, Smyrna, Statesboro, Stone Mountain, and Suwanee.